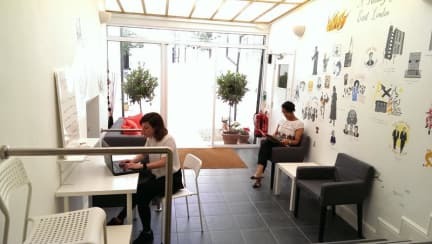 Park Villa is a new boutique hostel in the heart of the old East End of London. 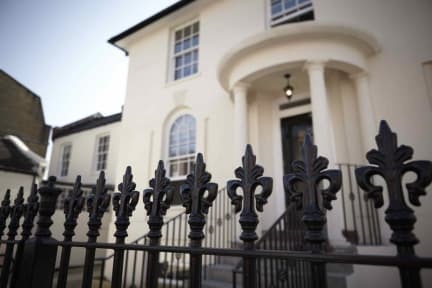 The hostel is a Georgian Regency villa with attached coach house and has been lovingly restored to reflect its original character and charm. Superfast WiFi is included in the price and all guests have access to a kitchenette (including kettles, toasters, fridge and combination microwave/grill/oven) and an inviting lounge / TV room. All rooms and showers are cleaned daily and the electronic entry systems, cameras and 24-hour reception ensure the hostel is safe at all times. We also offer a continental breakfast (£3 per night), fresh towels (£1 on check-in), a coin operated laundry and a car park (£10 per night). Cards and cash are accepted for payment. Our dorms at Park Villa feature oak wood floors, customised bunk bed pods, luxurious cotton bedding, grand plantation shutters and are mainly en suites. The family rooms offer the same luxury, with shared bathrooms and full size baths. All rooms offer warmth, comfort and lots of space to stretch out and make your own. Breakfast not included. Breakfast is available from 6am - 12 noon and costs £3 per night, payable on check-in. For Non-Refundable bookings, the full amount amount of the stay will be charged at the time of the booking. In case of a failed charge, we will contact you and we reserve the right to cancel your booking if no answer is given within 24 hours. Awesome hostel, hospitality was just the best =D. Everything you need for cooking is present in the kitchen, enough space to store your groceries. We were positively shocked by the security (badge-locks on each bedroom), you can store your values safely in a cabin under the bed (also locked). The location was perfect, near the subway station and supermarkets. Very clean and lovely Hostel, with parking! Perfect accommodation. The lounge is a bit small but that was the only thing I could think of. The rest is one of the best hostel I have been at. Beautiful hostel, very clean and the staff is superb! Nice accomodation in Zone 2, close tot the tube. rooms are clean, beds are wonderfull.